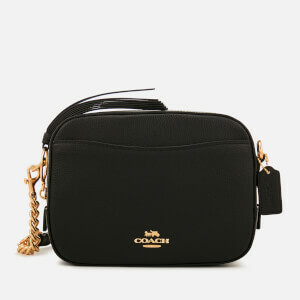 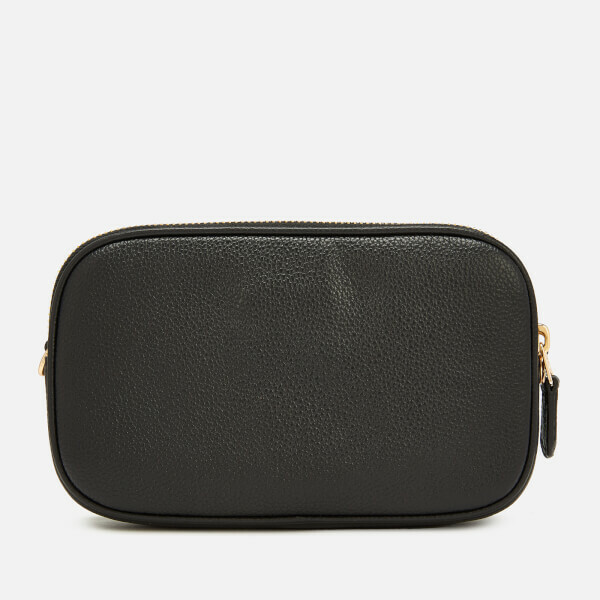 Women's leather clutch bag from Coach. 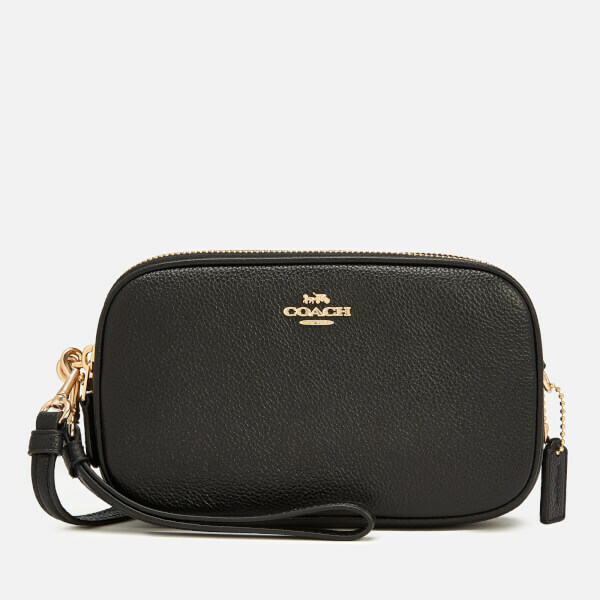 Formed from polished pebbled leather with a lightweight, compact design, the versatile bag features a dual zip fastening that opens to reveal two internal compartments, both lined in fabric and offering additional slip pockets, including two card slots. 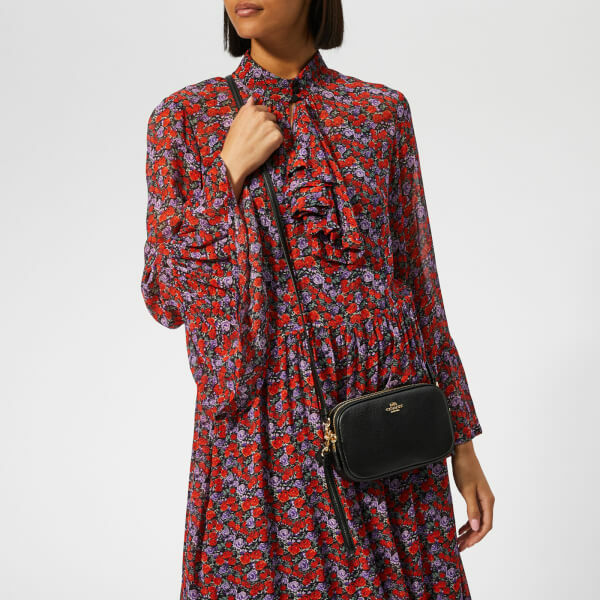 Ideal for storing cards, phones and keys, the bag easily transitions from day to night with its detachable wrist strap and removable, hand-finished shoulder strap that can be worn across the body. 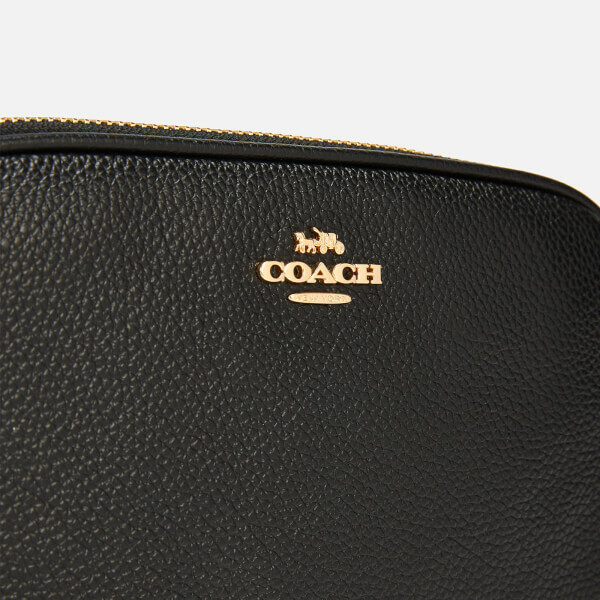 Complete with gold tone hardware and signature Coach branding to the front. 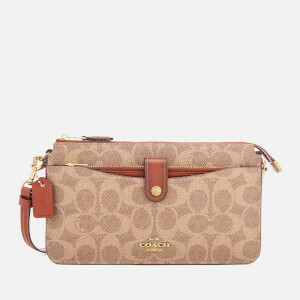 Dimensions: H: 11.5cm x W: 19cm x D: 4cm. 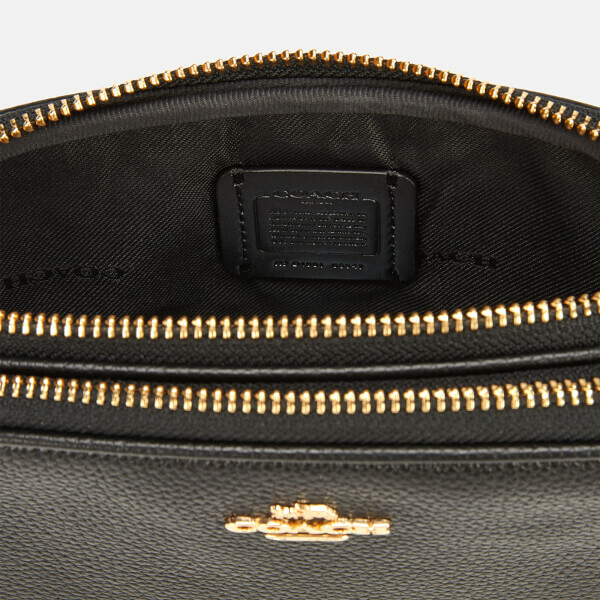 Shoulder Strap Drop: 58.5cm.